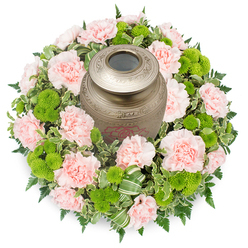 When it is time to say your last goodbye to someone close to your heart, choosing the right funeral tribute is essential. White roses, carnations and freesia are combined to create this lovely funeral basket. 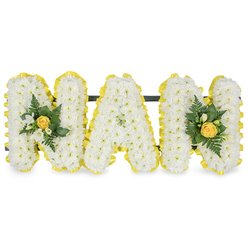 A delicate way to offer your condolences. 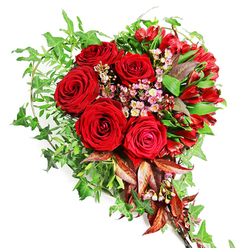 This service made me fall in love with online florists. 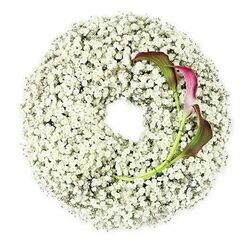 With just a few clicks, I was able to pick the best funeral flowers. They also delivered on time. I wanted flowers delivered to a friend who had lost her mother. They did not disappoint! I can swear it, I have never found a company that dedicates its services to make its customers happy and satisfied like this one! The funeral baskets I ordered took a week before they started withering. I was looking for beautiful yet low-cost funeral sprays because we were working on a tight budget. When I saw the company's rates on the flowers I needed, I ordered immediately. I got the flowers in record time. 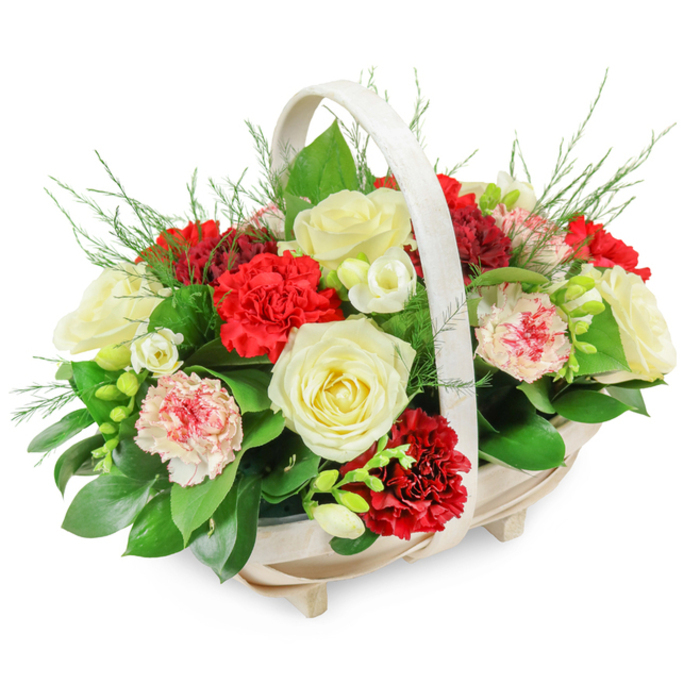 Ordered this lovely basket as a sympathy gift to the family of the deceased. 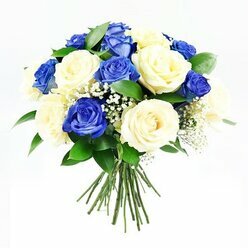 The flowers were delivered on the requested day. 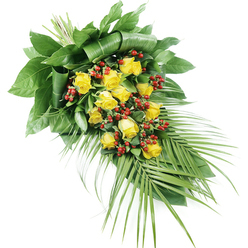 They completed the order without causing any additional stress which I highly appreciated. Nice combination of flowers and colors. The delivery before 9AM option worked just fine for me. Thanks for the prompt delivery. Everything was very well-organized! The flowers in the basket looked lovely!